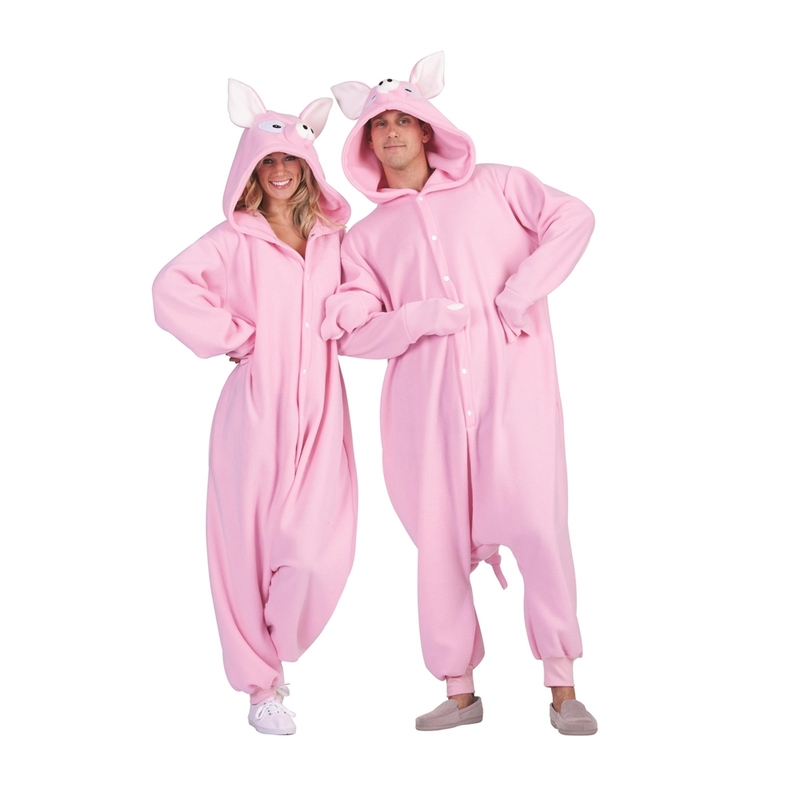 This quality super comfortable pink polar fleece Penelope the Pig Adult Unisex Funsie by Funsies is suitable for both men and women. It includes the one size fits most jumpsuit with hood and tail and a snap closure. 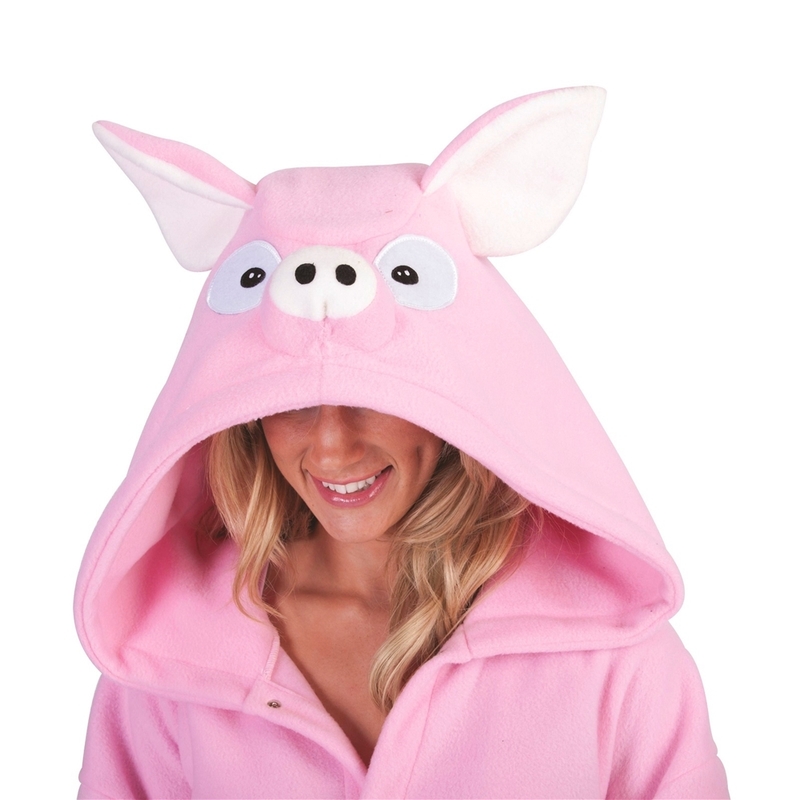 The attached hood has a pig face, snout, and ears, and there is also a curly pink tail on the back bottom of the onesie to complete the look, of course. A tribute to pigs of all kinds!